Paresh Dandona, MD, PhD, is first author of a new study that explores the links between obesity, diabetes and asthma. BUFFALO, N.Y. — Genes linked to chronic inflammation in asthma may be more active in people who are obese, according to new research that uncovers several biological ties between obesity and asthma. 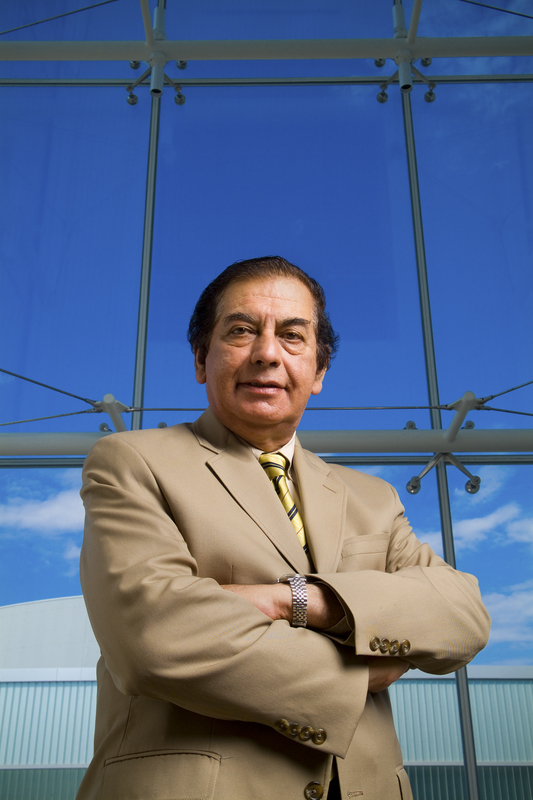 “Our findings point the way to the management of asthma in the obese through simple weight reduction,” said first author Paresh Dandona, MD, PhD, SUNY Distinguished Professor and Chief of Endocrinology, Diabetes and Metabolism at the University at Buffalo. The research appeared online June 26 in the journal Obesity and involved two related studies: A comparative study between obese people and people of normal weights; and an experiment that looked at how various biological indicators — including the behavior of asthma-linked genes — changed when morbidly obese patients received gastric bypass surgery. In the comparative study, the scientists found that four genes associated with chronic inflammation in asthma were more active in obese and morbidly obese people, by more than 100 percent in some cases. The highest activity was found in the morbidly obese. This increased gene expression matters because it can cause white blood cells called mononuclear cells to produce far greater amounts of inflammatory factors like interleukin 4, LIGHT and lymphotoxinβ receptor which contribute to allergic inflammation and other abnormalities in the bronchial passages in asthma. The scientists also found higher concentrations of two asthma-related compounds in the plasma of obese and morbidly obese patients: MMP-9, which is associated with inflammation, and nitric oxide metabolites (NOM), which are an indicator of oxidative stress. Following gastric bypass surgery in morbidly obese diabetic patients, MMP-9 and NOM levels dropped, along with the expression of six asthma-related genes including the key factors, interleukin 4, LIGHT, lymphotoxinβ and interleukin 33 in parallel with weight loss and improvements in the status of their diabetes. Importantly, the research established a connection between Type 2 diabetes, obesity and asthma based on biological mechanisms. This is important because obesity and Type 2 diabetes are associated with a more than 100 percent increase in the prevalence of asthma, Dandona said. and 15 morbidly obese patients with Type 2 diabetes. The research team reported that obesity was associated with higher expression of asthma-linked genes and MMP-9 and NOM levels — whether or not patients had Type 2 diabetes. None of the research subjects had asthma, which is one of the strengths of the study, as it provides a level of assurance that the correlations the researchers saw were not a product of the disease itself. The next step, Dandona said, is to conduct clinical studies examining how weight loss affects asthma in patients who are obese. “We are embarking on this project now,” he said. Dandona is also the founder of the Diabetes and Endocrinology Center of Western New York, which is sponsored by the UB School of Medicine and Biomedical Sciences and Kaleida Health. Dandona’s partners on the study included colleagues from the UB School of Medicine and Biomedical Sciences; Kaleida Health; UB School of Pharmacy and Pharmaceutical Sciences; and Sisters of Charity Hospital. His co-authors were: Husam Ghanim, PhD; Scott V. Monte, PharmD; Joseph A. Caruana, MD; Kelly Green; Sanaa Abuaysheh; Teekam Lohano, MD; Jerome Schentag, PharmD; Sandeep Dhindsa, MD; and Ajay Chaudhuri, MD.